Volunteer your free time with a local community garden to gain the skills of running and sustaining your own garden. The experience will also help you determine whether or not you have the time and energy for the commitment. To find a community garden in your area, check out The American Community Gardening Association, or you can Google “Community Garden” with your city or neighborhood. Now that you’ve decided take a leadership role in your community, recruit a reliable team. A community garden team might consist of aspiring gardeners in your neighborhood, a youth church group, a university club, a committee at a senior center, or simply a group of pals who are passionate about local food. Also, consider creating a Meet Up or Facebook group to recruit members to your initial get-together. The bigger your team, the better! People with experience in permaculture are also a plus. In certain areas, you will find that including members who are a part of an already-financially stable community organization can be an advantage to the success of your community garden. Umbrella Organization (Church or Neighborhood Organization): These entities can participate in the planning by motivating others to get involved, enlisting support of other community organizations, fundraising, and approving garden events and activities. They may or may not need to be as active as other Garden Team members, but they need to be on board to assist as support for the project. Coordinator or Co-organizers: This person or committee will be liaisons to the umbrella organization, coordinate garden activities, schedule meetings, lead the creation of garden plans, recruit gardeners, secure city plots, and manage legal documents. They’ll also recruit and manage garden members. Fundraising Director: The director oversees and develops the fundraising campaign by working with the Education and Events coordinator to implement funding streams. Education and Events Coordinator: This person or committee develops and coordinates events and educational activities, coordinates presenters, displays topics and updates at the garden, and organizes the promotion and outreach of activities. Lead Design and Gardener: This person or committee is responsible for storing and distributing information about plants and gardening techniques, coordinating care and maintenance of common areas like compost, paths, and borders and coordinating and facilitating garden work-days. Community Outreach, Promotion & Public Relations: This person or team sets up social media accounts, creates and manages a newsletter, writes press releases, connects with local media, documents with photos and videos, and maintains the website. Tool/Structure Maintenance and Repair: Maintenance and Repair people are responsible for sourcing recycled material, soliciting donations for structures, tools, equipment, benches, hoses, and other equipment. They also inventory and, as well as repair tools and equipment. Seed Manager: The Seed Manager’s responsibilities include securing seeds, soliciting seed donations, coordinating seed saving, and keeping seed inventory. Pest and Weed Monitor & Control: Pest and Weed Control personnel monitors, reports, and treats pest problems (organically, of course) and maintains weed control. Being resourceful is the first way to exercise sustainability. Encouraging each member to share their resources, such as their professional networks, skills, hobbies, beneficial contacts, and relationships broadens the scope of the project. You can even create a fun and engaging game or activity out of this, to keep it light-hearted. For example; someone who likes to draw as a hobby can design flyers or garden art. Doing an exercise like this encourages creativity and empowers leadership. With your group, start by making a list and brainstorm all the skills and resources your garden team already has. Find an up-cycle warehouse in your area by using Craigslist or Free-Cycle, These are also excellent places to find free or cheap “junk” that could be useful while building your garden. Come up with a name for your garden, build a plan, and determine the goals, mission and vision of your emerging organization. Think about these questions when writing your mission and vision statement: Who do you serve? What do you serve? How will you serve? Why do you serve? 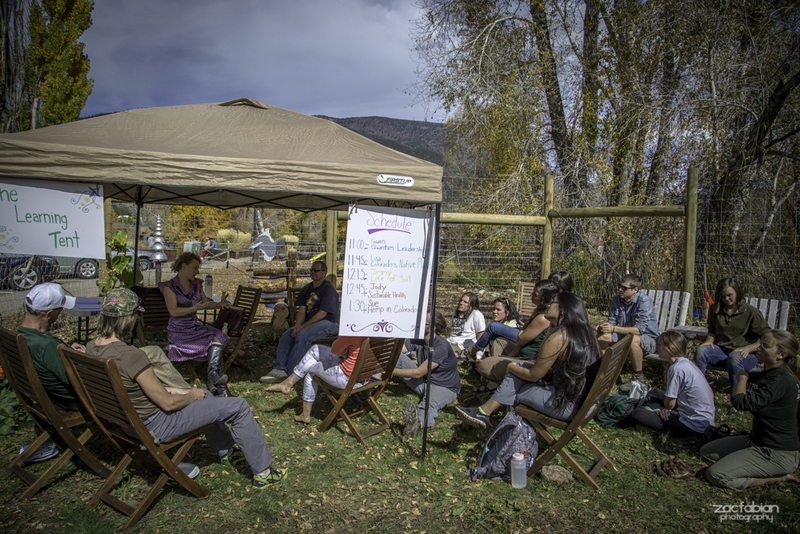 You will also want to brainstorm a list of your communities’ potential supporters and partners such as neighbors, experts, the school district, farmers, growers, or other parks and recreation agencies. A great resource for a more intensive guide to planning your community garden is the National Recreation & Park Association. Next, create a fundraising plan or campaign. When starting your fundraising plan, think about ideas such as community events, hosting workshops, plant sales, certified farmers markets, farm-to-school programs, food co-ops, sponsors and grants. Check out Rebel Tomato’s fundraising tips, strategies, grant sources and resources. It’s helpful to craft a project timeline that coincides with the deadlines of your goals. Zoho or Trello are excellent tools for project management and collaboration for your team. The fun part! The easiest and most direct route to finding an open space for your community garden is to find out if an organization in your area manages open spaces. For example, Neighbor-Space in Chicago, Baltimore Green Space, and New Haven Land Trust are all land-trust organizations that preserve and sustain community gardens on behalf of dedicated community groups. The Land Trust Alliance provides a database of land trusts around the country. A more obvious way to find plots of land in your community is to simply get on your bike, ride around, and find open spaces like empty lots. Then, just do some digging to find out who owns the space and how you can acquire it for building a community garden. Don’t rule out sites that are not park land or contiguous to a park. Look into partnering with your city or a private individual to lease vacant land, if necessary. The tricky part! Once you find a few potential spaces, consider the quality of the soil (soil test for possible pollutants), the amount of sunshine (most vegetables need at least six hours of sunlight a day), water availability, and ease of access for trucks, the community, and garden workers. Check out the Urban Farming guys for a bunch of how-to videos on community gardens and much much more! Thanks for the article. I am looking into starting a community garden in Los Angeles where one of the biggest hurdles is access to land (real estate is very expensive in the city). I am going to take your advice on looking into land trust organizations.